Nigerian financial institution Heritage Bank has finally released a statement on it’s association with Big Brother Naija 2018 housemate Tobi ‘Oluwatobi Bakre’. 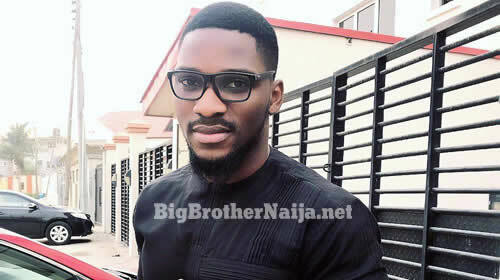 There have been a lot of rumours circulating around especially on social media platforms that Tobi is a staff of Heritage bank who was intentionally planted in the Big Brother Naija house to market the bank. We can now confirm with absolute certainty that Heritage Bank has no hand or any influence in Bakre’s participation in the ongoing Big Brother Naija Season 3. 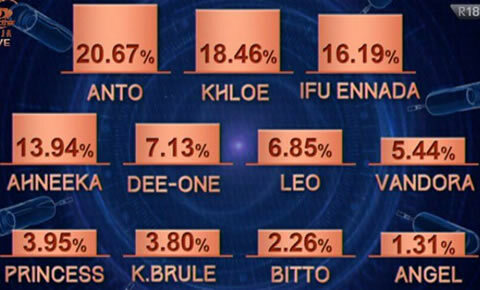 This week the bank also came out and cleared the air stating that it has no influence on Tobi’s participation in Big Brother Naija 2018, the bank further stated that it’s only association with Tobi is the fact that he’s their former employee who actually resigned before making it in the Big Brother Naija house. 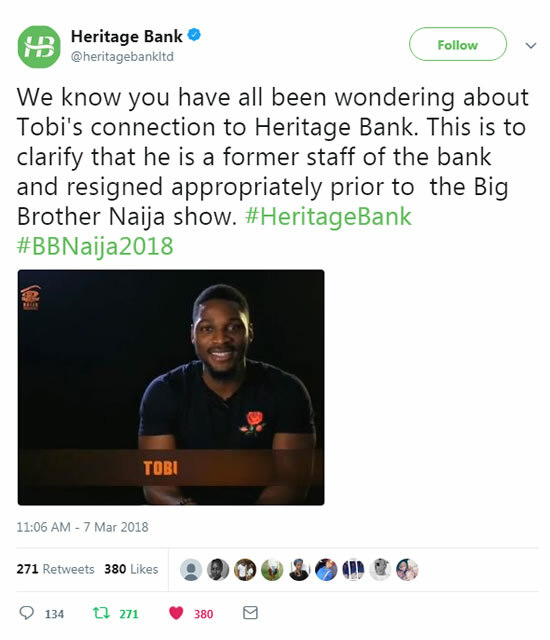 “We know you have all been wondering about Tobi’s connection to Heritage Bank. This is to clarify that he is a former staff of the bank and resigned appropriately prior to the Big Brother Naija show.” Heritage Bank stated on their official Twitter account. Below is a screenshot of Heritage Bank’s tweet. We hope this has now cleared the air..